Salt and pepper shakers, well kind off since these are actually mills. 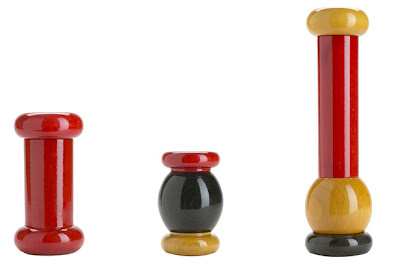 These artistic salt and pepper grinders were designed by Ettore Sottsass for Alessi in Italy. Reminds me of his totem sculptures, very nicely done.